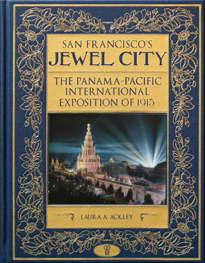 The book San Francisco's Jewel City: The Panama-Pacific International Exposition of 1915 is out to universal acclaim! To order a copy signed by the author, use the link below. Be sure to state clearly to whom you want your book(s) signed.